Every year, cyber-attacks cost millions of dollars to businesses all over the world. And far from popular belief, the favorite target of these criminals isn’t large multinational corporations; they prefer to target small businesses, often those that employ less than 100 people. And when they do target these businesses, they cost them on average, roughly $36,000 per attack. The question for these small businesses then becomes, how do they protect themselves against attack? The answer, as it turns out, is easier than they might think. It all has to do with proper training. The leading cause of vulnerability to cyber-attacks comes from a company’s own employees. This isn’t saying that the employees are being malicious or seeking to cause harm on purpose. In general, there are three specific things that a small business can and should do to protect themselves from malware. First, invest in a VPN solution. Secondly, train employees on proper internet safety. And lastly, use a nightly data backup solution. There are dangers when a company has employees that need to work from home or connect to their servers when traveling on business. These connections are vulnerable to hackers or criminals who can track and intercept information transmitted over unsecured Wi-Fi. Whether it’s a hotel’s internet or a hotspot at Starbucks, the login information that is used to access a server is easy to snoop in on. Preventing this means using a way to communicate between an employee’s computer and the company server that is secure. In most cases, this means using a business VPN, or Virtual Private Network. A VPN creates a secure connection between the client and the server. The laptop and the server use encrypted communication, which means that if someone is snooping in on the traffic, they’re just going to see a bunch of random gibberish. While large companies can use their own IT departments to create a VPN specifically for them, that’s often not feasible for small companies. Instead, they can rely on commercial VPN providers, such as TorGuard VPN Service. These VPN providers give a business the security and peace of mind knowing that the information will be encrypted and secure. On the other hand, for employees that work in the office or on-site often do things that leave a business open to vulnerabilities as well. Untrained but well-meaning employees may open links in email or download things that they shouldn’t, leaving a small business open to attack from ransomware, phishing, or worse. It becomes incumbent then for a business owner to train their employees on proper safety protocols when it comes to opening email and surfing the internet while at the office. The key is ensuring that employees do not open attachments from unknown senders or download files from unknown sources. As long as employees follow these rules while in the office, a business can minimize the damage caused there. No matter what, a business may still find itself attacked. That is why companies should invest in an off-site backup solution. This means that the information on the business computer is uploaded to a separate location every night. In the event that a virus or other malware does infect the business, they can simply reformat their hard drives and reinstall all of the backed up information. As long as the backups are done on a nightly basis, the most that will be lost to malware will be a few hours’ worth of work. No matter what type of backup solution is used, there are two things that must be part of it. First, the backup cannot be connected to the primary hard drives during normal operation. If they are, then they run the risk of being infected as well. 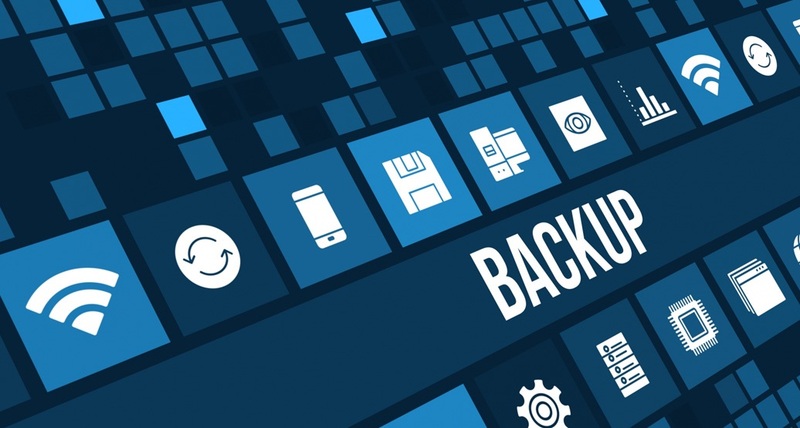 Secondly, backups must be made on a regular basis – preferably at least nightly – and only after the primary storage has been thoroughly scanned for malware. After all, a copy is only as good as the original. Small businesses are among the most vulnerable and targeted when it comes to malware and cyber-attacks. However, owners can mitigate the majority of the damage by investing in three key things – a good VPN, solid training, and an off-site backup solution. By using these solutions, a business can be sure that they won’t be held hostage by ransomware or lose weeks of productivity due to a computer virus.